New Book – How To Slash Your Taxes! Filled with 111 proven topics to help you slash your tax bill! Let’s face it, no one likes to pay more in taxes than they should. In our office, we typically tell taxpayers that they should aim to be within +/- $1,000 with regards to their refund or having a balance due. A balance due of $1,000 while not pleasant, is manageable for most people when it comes to paying it outright or setting up a payment plan. Getting a refund of $1,000 or less you means that you didn’t give Uncle Sam too much of an interest free loan for a year. Hey, it’s not called a “refund” for no reason; it’s your own money they are giving you back! But what happens when people (i.e. taxpayers or tax preparers) push the limits to cut a tax bill? Well, since we deal with the consequences fairly often, let’s just say that it’s usually not good. Furthermore, it’s totally unnecessary and who has the time to keep looking over their shoulder wondering if the big, bad IRS is going to come knocking? 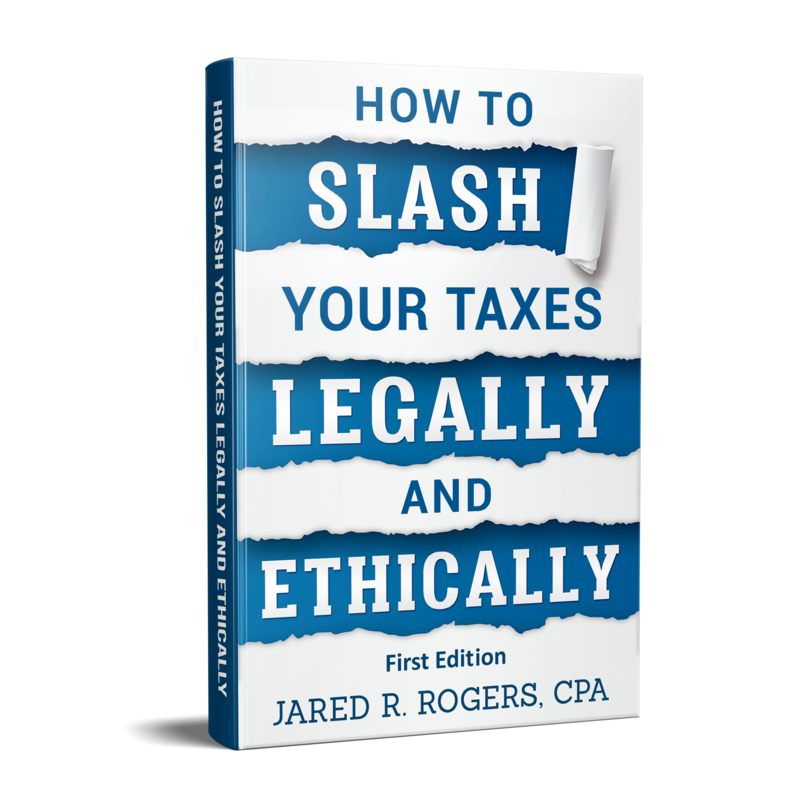 The point of this book is to show you that there are hundreds of ways that you can achieve tax savings while doing it both legally and ethically. This is largely due to the complexities of the Internal Revenue Code (IRC) and all of the loopholes that have been incorporated into it over time. This book highlights 111 topics that can help you capitalize on this fact and in turn slash your tax liability. So no matter if you are a parent, homeowner, investor, landlord, retiree or business owner, this book has something for everyone! Check out the video below to hear more and look below the video on ways that you can place an order. You can also view this video on our YouTube Channel here. Order directly from our office. You can order via credit card by clicking the “Buy Now” button below. If you select the “autographed with my custom message” option, you will be contacted post order to obtain your message. Please note that payment processing is performed via PayPal and if you do not have an account, you can simply select the option to pay with credit or debit card at the bottom. All orders processed via this method include Illinois sales tax as well as priority shipping via USPS. Don’t have a credit card or simply want to pay via check? Then please complete this HTSYTLE Order Form and return it to our office. Order via Amazon. If you do not want an autographed copy, or do not want to order via our office, you can order your copy via Amazon. Simply visit the author page for Jared R. Rogers, CPA and complete your order that way. You will have the choice of ordering either the paperback or Kindle edition. This entry was posted in Tax Talk and tagged how can I avoid paying so much tax, how can I not pay taxes legally, how can I pay less in taxes, how to reduce taxable income 2017, how to reduce taxable income 2018, how to reduce taxes for high earners, how to reduce taxes owed to IRS, how to reduce your taxes book, how to slash your taxes legally and ethically, how to slash your taxes legally and ethically book, Jared R. Rogers CPA book, Jared Rogers book, legal ways to cut your tax bill, tax tips for business owners, tax tips for homeowners, tax tips for landlords, tax tips for parents, ways to cut your tax bill, ways to save on taxes 2017 on February 4, 2018 by Jared R. Rogers, CPA.